Fortunately, the city didn’t crack down on Ken’s mental stability, and the 7 Bridges Marathon was born. The race has only improved over the last few years, and it has since resulted in the route that runners will tackle this October 18th. The marathon, half marathon, and 5K all begin in Renaissance Park. 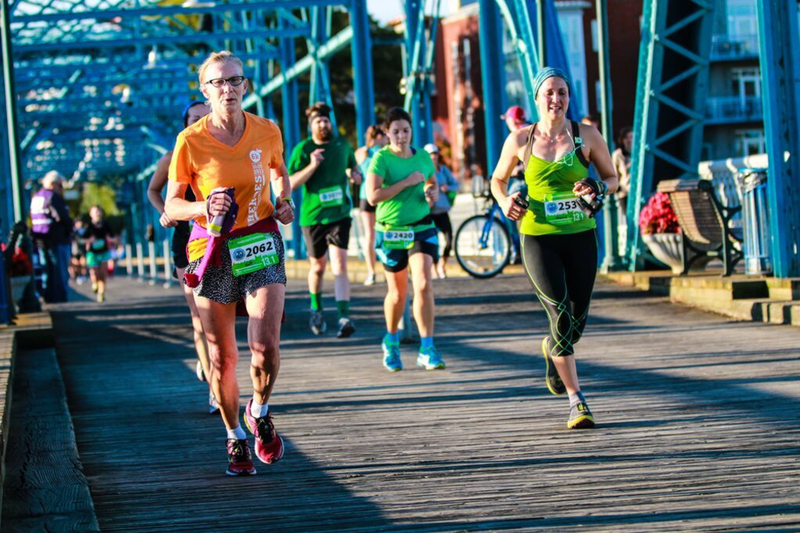 Chattanooga rarely makes life easy for runners, and the 7 Bridges Marathon doesn’t completely buck that trend. The course has enough elevation change to keep things interesting (about 445 feet of gain), but that’s a rate of only 17 feet per mile. The toughness of any race is greatly influenced by weather. 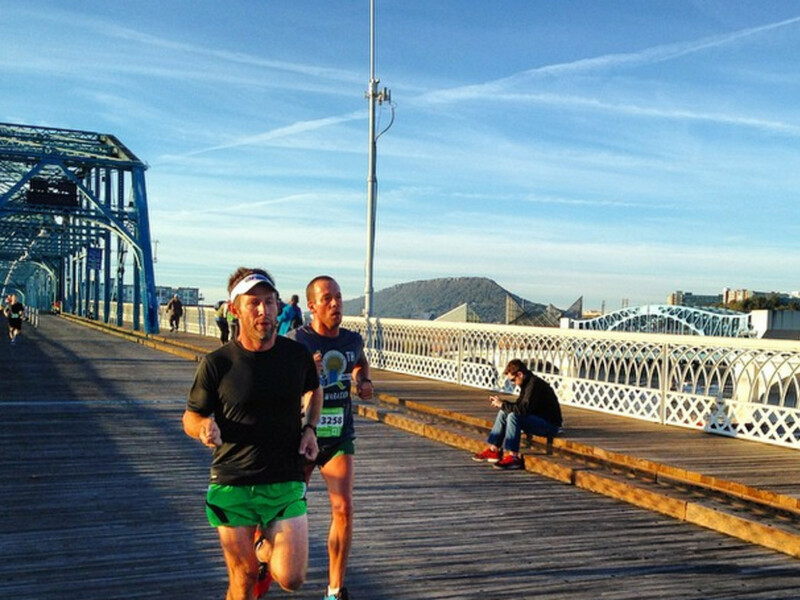 At this time of year, Chattanooga is “one of the most scenic cities on the planet”—and most runners would agree. The temperatures are cool enough to knock the edge off, but not entering blue-lips territory. 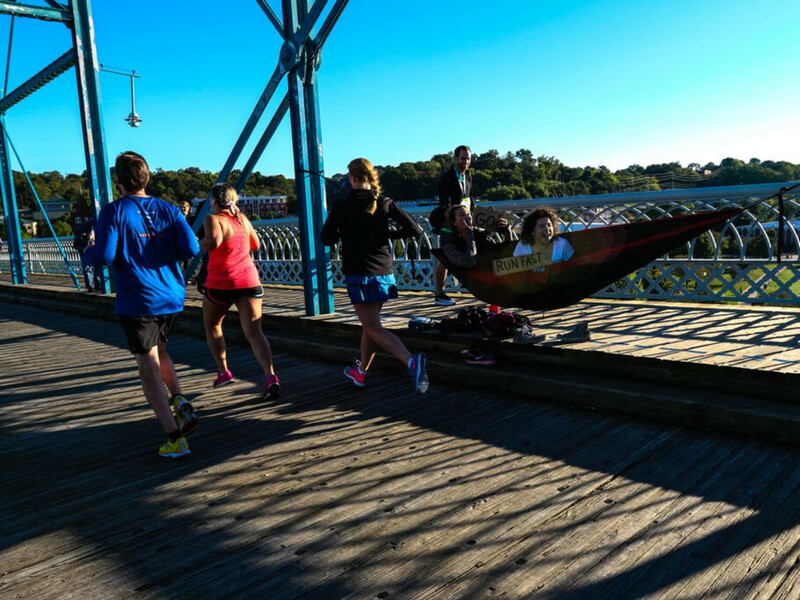 Whatever the reaction, most runners tend to say the 7 Bridges race is both forgiving and accessible. And the fall colors will be painting a fiery mural on the trees along the route, so that's another added plus. Runners will consume over 5,000 energy gels and 1,000 gallons of water and sports drink. They’ll eat hundreds of energy bars, bagels, candies, and pieces of fruit. And when they cross the finish line in the heart of Coolidge Park, volunteers will drape medals around their necks for tackling the distance. The race staff values all of the runners and strives to create a memorable first timers experience. “In addition to a forgiving course, we try to provide runners as many aid stations as possible. We also try and keep them as informed as possible and have everything clearly marked on race day. We want to give as much guidance and as many resources as we can,” Nevans adds. Brandon Wright says he chose to run the 7 Bridges Marathon because of the scenery in Chattanooga. “For the five years I’ve lived here, the bridges have been my main running route…so why not race on them?” He says his favorite part of the event is crossing Walnut Street Bridge at mile 26, with crowds lining the route—and a view of the finish line below. 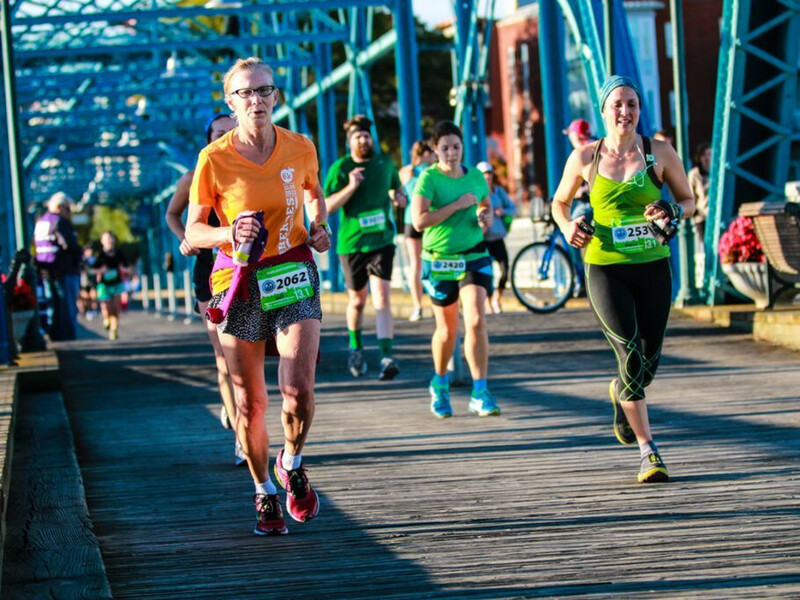 Expect to see an increase in happiness—and speed—when runners glimpse Coolidge Park with less than a quarter mile to go. As runners know, there’s usually enough left in the tank for a strong finish. When the lactic acid has cleared, all that’s left is the healthy sense of accomplishment. And that’s alright, because running seven bridges only comes around once a year. Have a safe, fun, fast race! 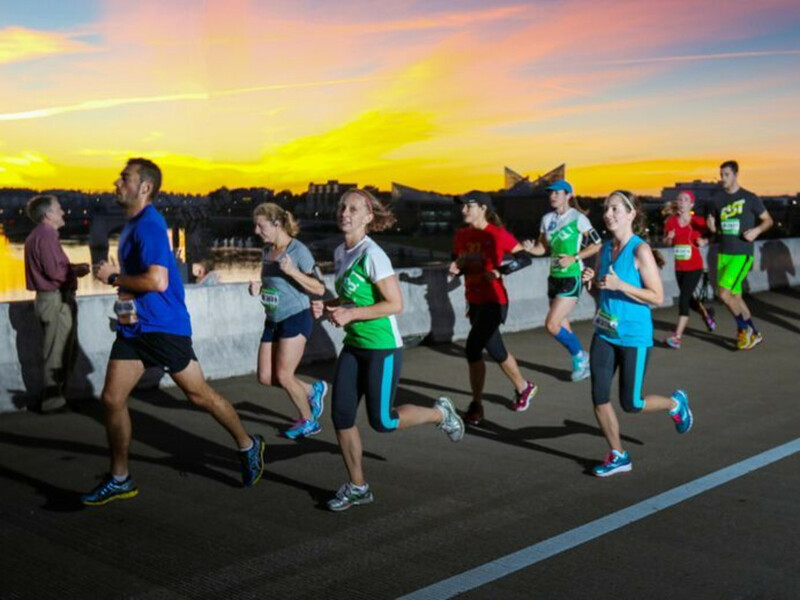 The 7 Bridges Marathon will happen this year on October 18th at 7 a.m., and there's still time to register. Is Roanoke the Best Up-and-Coming MTB Destination in the Southeast?